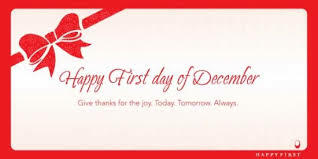 Hello December! Happy new Month!!! ~ CK Jacob: Nigerian Fiction And Lifestyle Blog. Hello December! Happy new Month!!! Christmas is close!! Happy new Month!!! I wish you and I, true love, great health, beautiful life, more Wisdom and understanding. Bad news will never reach us. Amen! We will spend Christmas with our family and loved ones. Amen! May Almighty God protect us this special month. Amen! Amen and amen! May 2016 be much better for us all.